The US border between Texas and Mexico has a growing population of Mexican-origin children that are at high risk for obesity and have a lack of physical activity opportunities, resources, and environmental infrastructure. The purpose of this research was to explore children’s perspectives of their physical activity behaviors through in-depth interviews. Five children (ages: 7–11) were recruited to participate and describe facilitators, barriers, and current and desired physical activities. Interviews were transcribed verbatim, harmoniously coded, and analyzed for content. The most common physical activity type was football for boys, jump rope for girls, and general play activities for all. Having friends as social supporters and ability to be active at school were physical activity facilitators for all children; enjoyment was identified for boys and having general play activities for girls. Lack of equipment at home was a barrier identified by all children; homework was identified by boys and lack of social support from siblings for girls. All children desired to do more activities with friends. Girls wanted to visit the park more, where boys wanted more equipment to begin new activities. Gender differences are common and have previously been attributed to societal norms. Desired physical activity consisted of longing to participate in more of their current activities involving contact sports for boys and general play for girls. Interviews conducted in neutral settings can allow for natural, unrestricted responses from children. New activities should be introduced to expand desired activity and subsequently increase physical activity within these populations. Social, economic, and geographic risk factors combined with a lack of access to physical activity resources and opportunities predispose children within the colonias of the Texas border to have elevated risk for childhood obesity. Additionally, these children face many barriers to establishing and maintaining nationally recommended physical activity levels. Asking children their perspective regarding physical activity is useful in gaining insight into current and desired behavior. 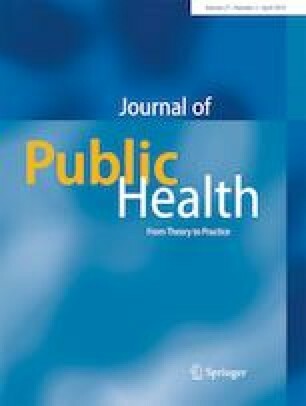 Children’s responses to questions regarding facilitators and barriers for physical activity behavior may be used to inform priority areas for health promotion initiatives. This project was supported by Agriculture and Food Research Initiative Competitive grant no. 2015-68001-23234 from the US Department of Agriculture National Institute of Food and Agriculture. The project would like to thank the promotoras involved with the study, Elva and Diana Beltran, the five children, and their families.